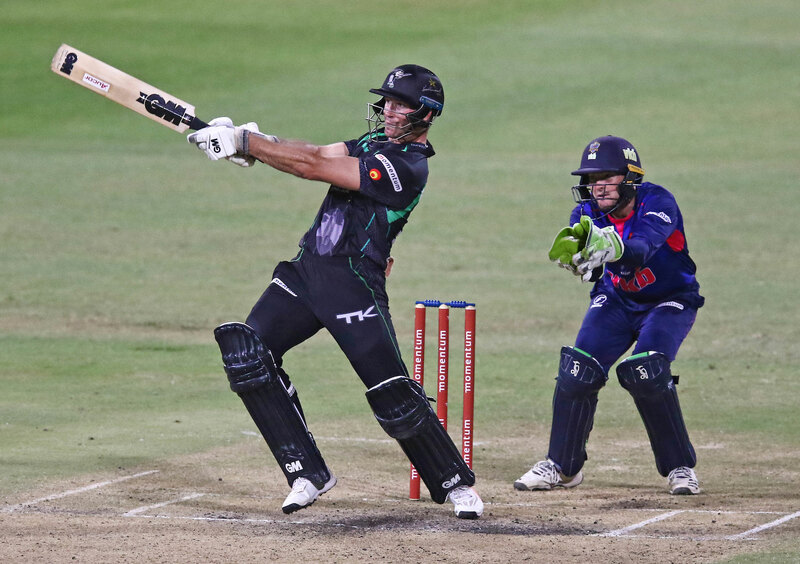 Durban – Despite a disappointing and controversial end to their Momentum One Day Cup campaign, the Hollywoodbets Dolphins can look back on the 50 over competition with pride and garner many positives going into the CSA T20 Challenge starting this weekend. The Dolphins were defeated by the Multiply Titans in the competition final on Sunday in a game that the visitors might have felt could have followed a different path had they had a few decisions gone their way. With three finals in two seasons under their belt, coach Grant Morgan knows that there is work to be done if they want to turn those final appearances into trophies. “We have rallied really well and we always do and we win but we have a couple of aspects that we need to clean up,” Morgan said. “There is an ability to fight back from helpless positions and we have proven that we can beat any side. “Quite a few players had to come into the side when our Proteas weren’t available and they proved that they belong at this level which is hugely encouraging. The Dolphins started their One Day Cup tournament well with three wins in their first four games. A loss to the Warriors in game four was followed by another win over the VKB Knights, but that was then followed by three losses in a row. A resounding win against the Warriors in PE and a rain out in Potchefstroom set up a semi-final meeting with the Warriors in Durban – a side that has historically played well at Kingsmead. The Dolphins put together a clinical performance to emphatically beat the Warriors by seven wickets. Throughout the competition different players put their hands up for the Dolphins but Sarel Erwee rediscovered his form after spending the first few games as 12th man and grabbed his chance well. The hard-hitting left-hander finished as the competition’s third highest run scorer with 440 runs, including two hundreds while Vaughn van Jaarsveld continued to bat well as he has done for many seasons. “For SJ (Erwee) to get back into form was huge because he was dropped at the beginning of the campaign so it was great to see his determination to do well coming through,” said Morgan. From a bowling perspective the Dolphins relied heavily on their three-prong spin attack with Keshav Maharaj, Senuran Muthusamy and Prenelan Subrayen doing the bulk of the work following the departure of Imran Tahir. In the end it was the all-rounder Muthusamy who ended as the leading wicket taker for the Dolphins with 11 scalps while Okuhle Cele finished the tournament with 10 wickets to his name. The Dolphins will now begin their CSA T20 Challenge with a clash against the VKB Knights in Durban on Saturday.